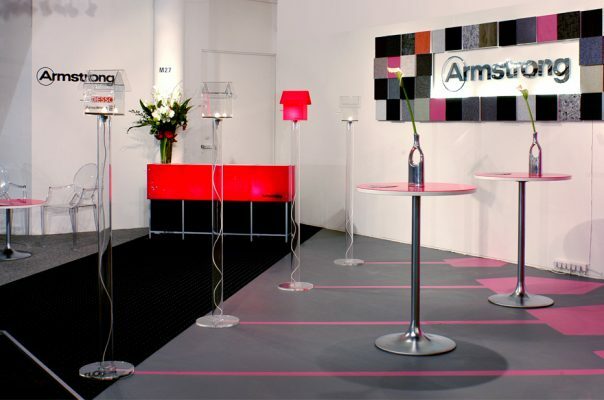 Desso, a previous client of ours had been acquisitioned by US-based Armstrong and it was felt that the design of their exhibition stands should be put back out to tender. 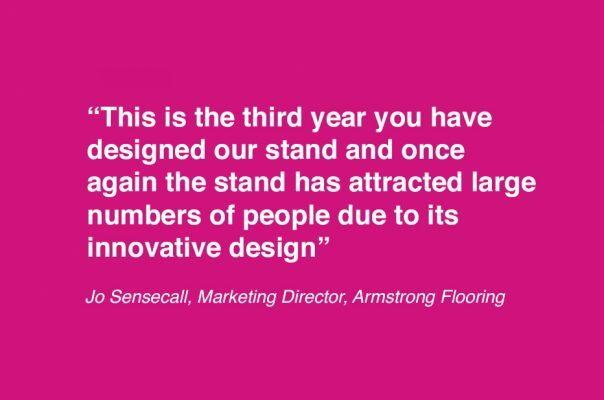 Happily, we won after a 3-way pitch and retained the contract to design and install an exhibition stand for Armstrong flooring for the Design Prima exhibition. Focused on the launch of carpets with metallic weave, the stand concept was centred around a jewellery store feel, with samples of the weave and carpets held within perspex birdbox structures. 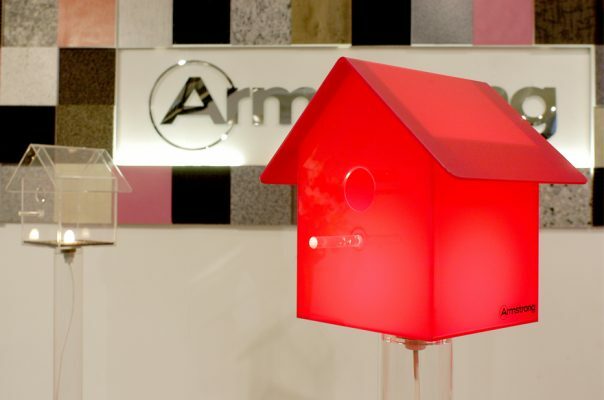 The installation was designed for re-use within the foyer area of Armstrong’s UK headquarters following the exhibition. 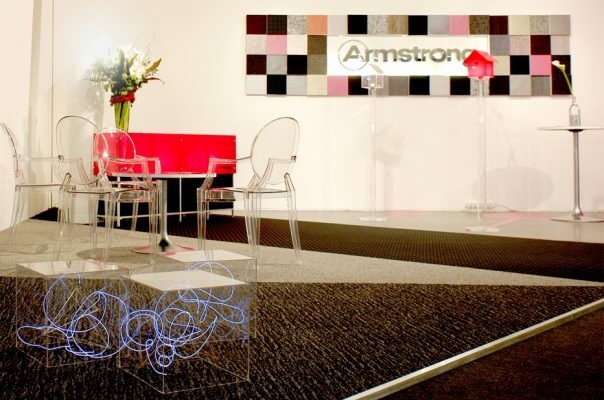 Key to the design of the stand was the delivery of Armstrong’s brand which in terms of it’s flooring division, was making it’s first public appearance in the UK at this particular show.